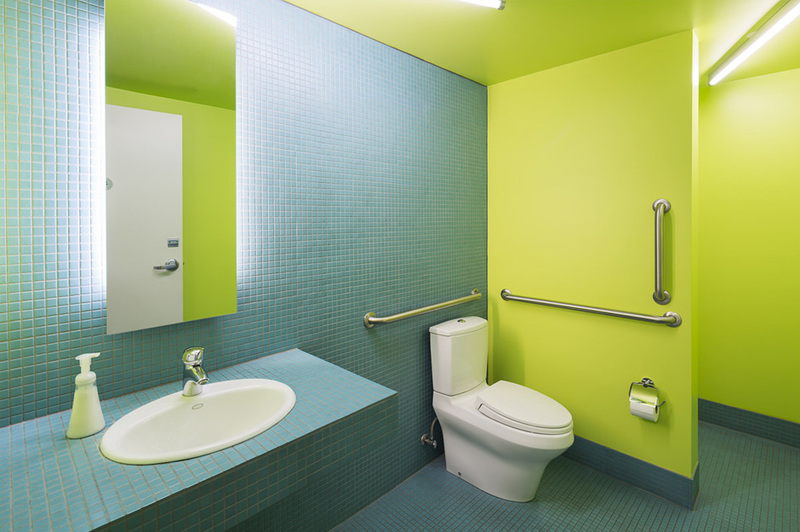 This 850 SF tenant improvement is located in the Onyx Building in the heart of Downtown Boulder. The space was designed not only to serve as the Boulder office for HMH Architecture + Interiors, but also strove to create a work environment that reflected our creative energies and supported our collaborative design process. The project includes a unique layout with 7 large open work areas, a conference area, storage and a kitchenette. 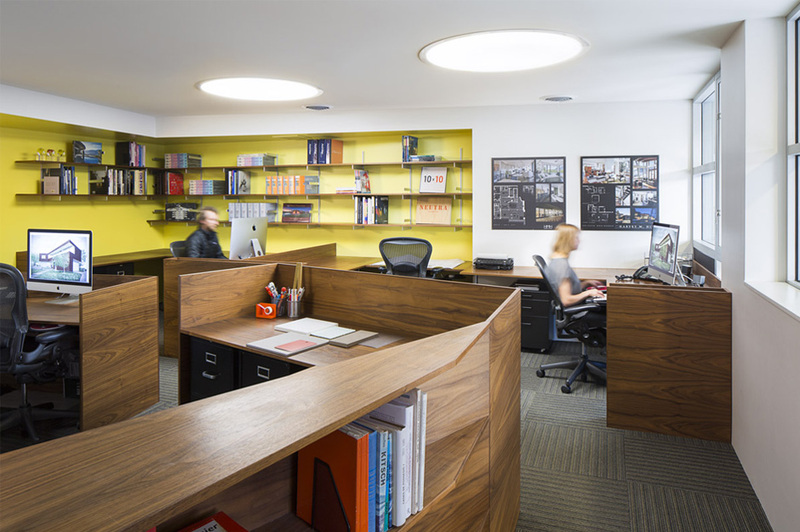 The custom walnut desks feature a side compartment for holding architectural drawings. 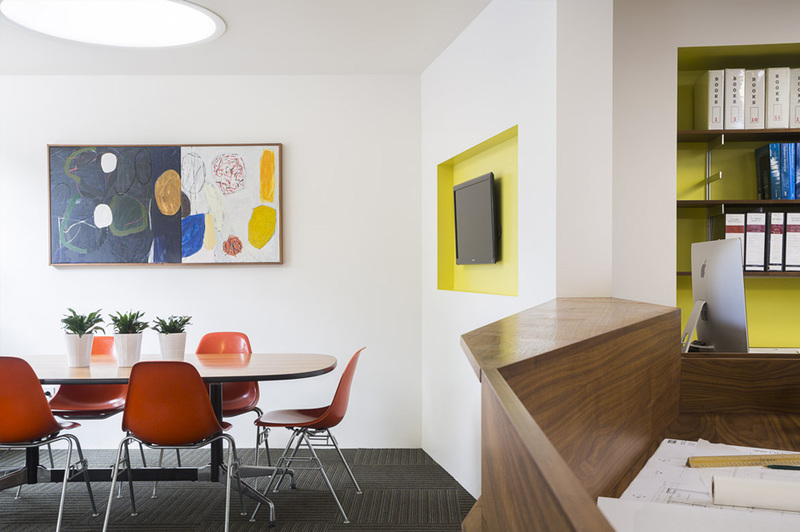 Large, round light fixtures and a bold, colorful paint palette help add vibrancy and life to the office making the space feel more familiar and homey.